Rainer Gerhards is one of the world’s first-class logging experts. His rsyslog open source project provides a feature-rich logging backbone for many of the world’s top organizations. He has mediated the IETF syslog standardization process and is author of core syslog RFCs. He provides new ideas and approaches to logging technology on a constant manner. He also happens to be Adiscon’s CEO. Gerhards has 35 years of experience in professional IT. He is and was application developer, system developer, sysadmin, mainframe administrator, Unix guy, PC network introducer, head of data center, network administrator and designer, consultant, author, speaker … and much more. He worked in end user companies, consulting companies and software houses, in very different industries. This diverse background nowadays comes to help when tackling complex development and consulting projects. Speaking the language of many industries, and having seen many iterations of the same problems, it is easy for him to quickly grasp the essence in a consulting meeting and deduce the right suggestions out of it. Customers appreciate that once he hits their team, he really becomes obsessed with solving the customer’s need – nothing else. He isn’t shy to tell a customer when a solution he can provide is not the right one. If it is the right one, Gerhards ensure that everyone fully understands the implications. His ultimate goal is that everyone is capable to understand and operate the solution. Gerhards has limited his consulting time to situations that really matter. That’s because he wants to stay connected with technology and drive it forward. After all, you can only do great consulting if you a) understand your customers and b) have state of the science understanding of the topic in question. State of the art knowledge is only the second-best thing, and nobody should really go for that if better is available. 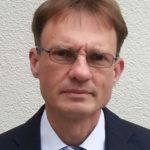 More Information on Rainer Gerhards can be found at his LinkedIn Profile at https://www.linkedin.com/in/rgerhards as well as on his personal web site at http://rainer.gerhards.net.